Lisa Jo White operates her training barn in Woodstock, Illinois, where she specializes in training horses for amateur and youth riders. Lisa grew up in the Arabian industry. 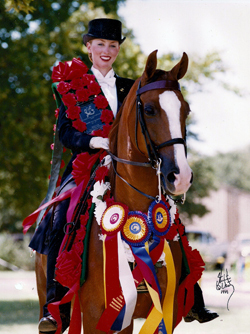 She showed successfully as a youth rider, winning many national championships, including both Saddle Seat Equitation and Stock Seat Equitation. After graduating from Michigan State University with a degree in communications, Lisa worked for a TV station in Wisconsin as a reporter and a television news anchor. 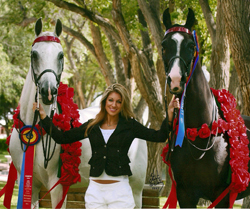 For over thirty years Lisa has successfully shown both Arabians and Half-Arabians. 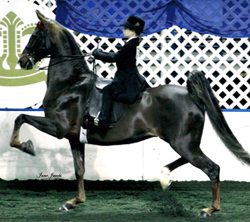 She is also a nationally recognized Arabian and National Show Horse judge, having judged the prestigious Scottsdale Arabian Show twice and the Canadian National Championship Show many times. In addition to competing in as many sports as their schedules will allow, Lisa’s two sons also show horses. 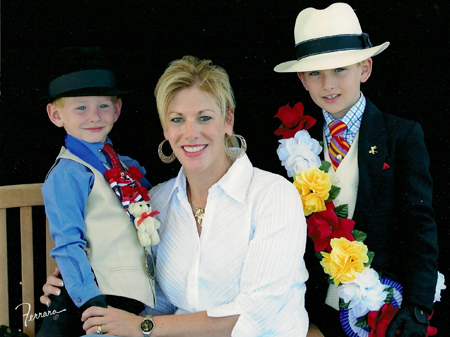 “Zach has been riding Arabians and National Show Horses since he was five” says Lisa. 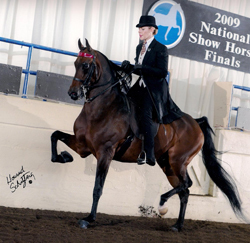 In 2008, Zach competed for the first time at the Arabian Youth Nationals in Albuquerque. 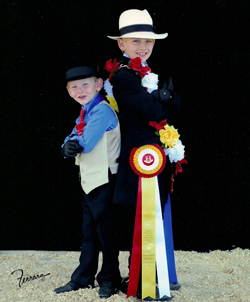 As a 7-year-old, showing in the 10 and under division, Zach won two National Top Tens. 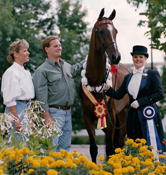 In 2009 Zach was Reserve National Champion in Arabian Breeds UPHA 10 and Under Walk and Trot Challenge Cup. He also won two National Top Tens. Zach continued his illustrious record at Youth Nationals by winning four National Championships in 2010, and four more in 2011, his final year in 10 and Under competition . In 2012, Zach’s first year at Youth Nationals in 13 and Under, he won three National Championships and one Reserve National Championship. Meanwhile, Rex, age 8, celebrated his second year of competition at Youth Nationals by winning one Reserve National Championship and two TopTens. While Lisa has been a star in the show ring herself on many occasions, her specialty has been working with her young riders who have, over the years, dominated the Equitation classes at all levels,	including Youth Nationals. Lisa’s first challenge with a new student is to help them find the perfect horse that will complement them in the show ring, both physically and personally. Then, using her instruction and her encouragement, Lisa proceeds to build a National Champion. Through her very personal caring, her communication of approval or disappointment, Lisa’s riders learn about life on many levels. They learn to love and respect and care for the beautiful animal that they show; and they learn the exhilaration of winning as well as the grace that comes with defeat. The experiences that are shared in the training barn and the show ring create friendships and memories that last a lifetime. 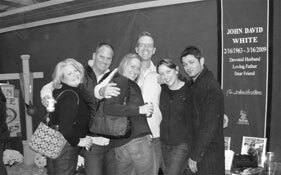 Many of Lisa’s former students maintain friendships across the country, meeting at the National championships or at Scottsdale to reconnect and reminisce. As their mentor, Lisa remains a perpetual role model, continuing to share in their lives long after they have left the barn.